MISSD founder Wendy Dolin (with director Jenna Sachman and board members Cindy Klinger and Jeff Dritz, shown here) presented about her story and akathisia to some of Loyola’s School of Social Work grad students yesterday. 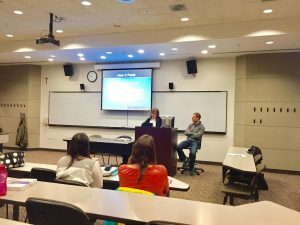 The topic and discussion were well-received by the students, who were interested in learning more so they could take the information to their internship sites. Special thanks to Dr. Marcia Spira for allowing MISSD to bring awareness to this important topic! 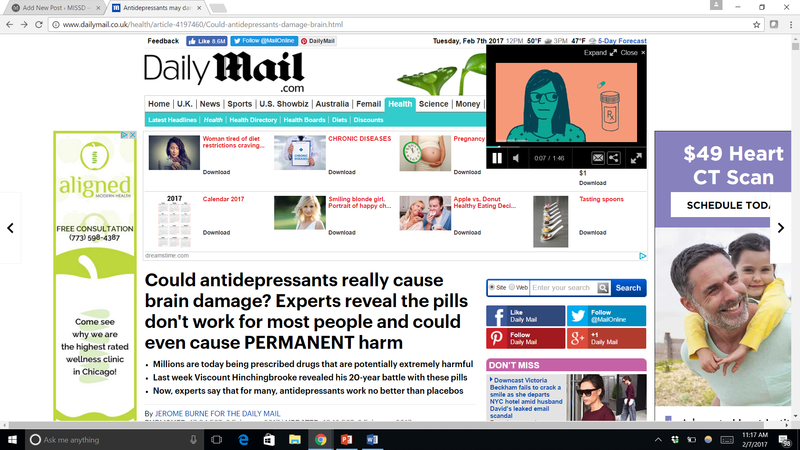 MISSD is thrilled that our educational video about akathisia has been included in a recent article of the online version of one of the UK’s largest and most widely read and respected newspapers, the Daily Mail. 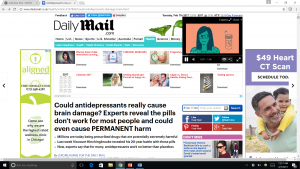 The piece, which you can read here, describes side effects of psychotropic medications and the long-term risks that affect some patients. It also highlights a variety of interesting studies about drugs and placebo effects, discusses long-term conditions and shares one individual’s story. It explains the fact that even after stopping medications, withdrawal effects can sometimes last years or even become a permanent condition. Although MISSD is not anti-drug and does not support all the views described in this article, we do take a stand for truth in labeling. Our mission is to raise awareness of akathisia and medication-induced suicides. Read the article and let us know what you think!